The first significant mining company victim of West Africa’s ebola epidemic is on life support and like most of the human victims has little chance of survival. 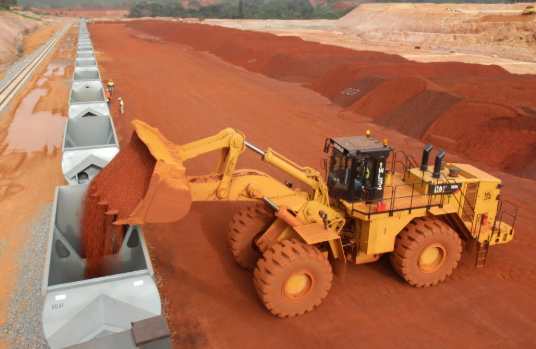 London Mining, which operates the Marampa iron ore mine in ebola-stricken Sierra Leone has had to call in the administrators – a task being handled by Price Waterhouse Coopers (PwC) and the chances of finding a buyer who will actually cough up any significant money for the debt-ridden corporate entity are seen as virtually non-existent. While it is not the ebola epidemic itself that has been the main factor in the company’s almost certain demise, but the dramatic fall in iron ore prices, ebola has been, in effect, the final straw adding to costs and restricting potential investment interest from third parties. London Mining started production at its Marampa mine in December 2011 and in 2013 produced 3.4 million wet tonnes of sinter concentrate. It expanded production capacity to 5.4 million tonne/year in 2013, and had been planning to increase it further to 6.5 million tonne/year. Marampa has a mineral resource of over 1 billion tonnes of iron ore including a Probable Reserve of 539million tonnes grading 31.1% Fe, sufficient for over 40 years of mine life. It employs around 1,500 people and is a significant contributor to the Sierra Leone economy. 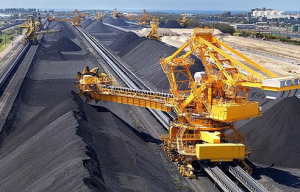 The company has also completed bankable feasibility studies outlining plans for a further 20 million tonne/year of iron ore production by developing mines in Greenland and Saudi Arabia, but the figures have been thrpown into doubt given the collapse in iron ore prices.. But London Mining was already on the downward path before the ebola outbreak struck its host country and exacerbated the situation, although no-one at the mine site appears to have fallen victim to the disease. Mining and upgrading 31% tenor iron ore to compete with those like Rio Tinto, Vale and BHP who can dig the stuff out of the ground at around 60% just became less and less economic as iron ore prices slumped. The company’s share price on London’s AIM market fell from comfortably over £4 in April 2011, down to around 4 pence and now trading is suspended. The company had been trying to find an investor to plug a financing gap which meant it had been running out of money to maintain operations. Indeed only a week ago the company’s CEO, Graeme Hossie commented that there was little or no value remaining in the company’s shares. Thus talks are ongoing to try and at least salvage the Sierra Leone mine although companies will be nervous about sending executives to view operations in the ebola-stricken nation. India’s Jindal steel is thought to be involved in negotiations as it is one of the mine’s major customers. It seems, though, there is only one potential strategic investor left in discussions with the company and there is no confirmation that it is, or is not, Jindal. But whoever it is it is clear that it is only interested in the mining assets and not in keeping London Mining as a going concern.